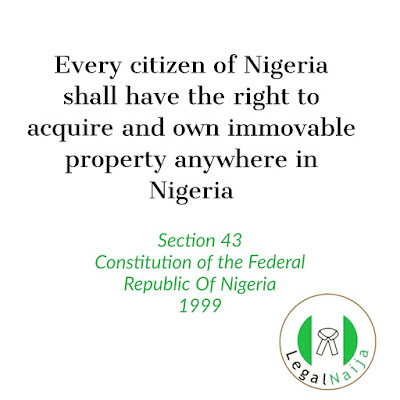 Have you ever heard the allegations that members of a certain community/tribe or ethnicity usually refuse to sell land to persons who are not one of them? Such acts are unconstitutional as seen in the above quote from the Nigerian Constitution. 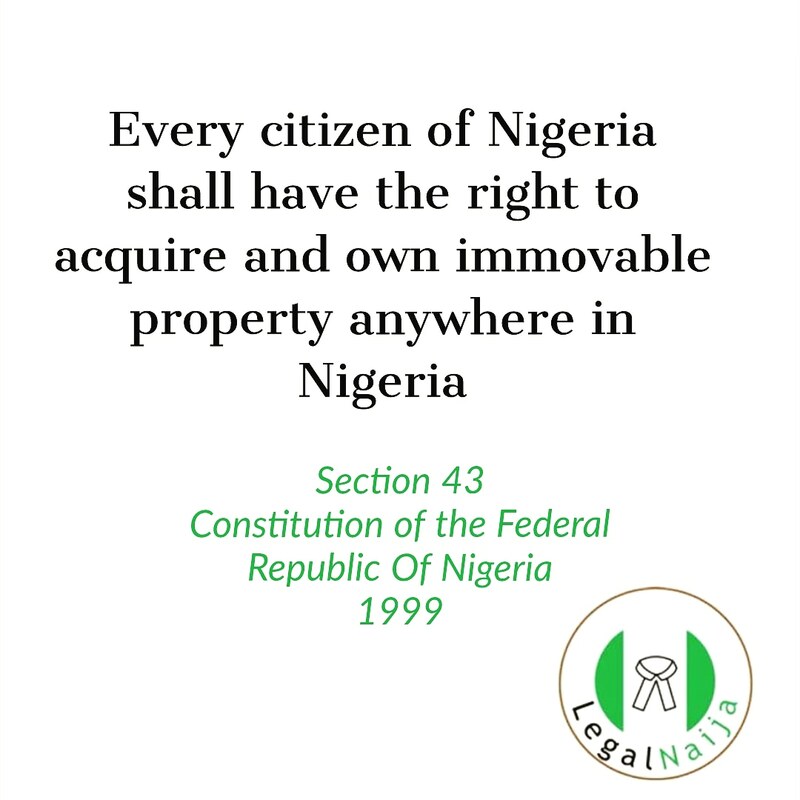 (b) gives to any person claiming such compensation a right of access for the determination of his interest in the property and the amount of compensation to a court of law or tribunal or body having jurisdiction in that part of Nigeria."